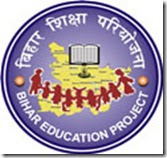 Bihar Education Project Council (BEPC) is an autonomous body of Education Department, Govt. of Bihar registered under the Societies Registration Act, 1860 and is responsible for the implementation of Sarva Shiksha Abhiyan (SSA/RTE) which is a National Programme for universalisation of elementary education including Kasturba Gandhi Balika Vidyalay (KGBV) and National Programme for Girls at Elementary Level (NPEGEL). BEPC requires Personnel to be recruited on Short Term Contract or Short Term Deputation basis for the post of Civil Works Manager created under BEPC. Persons having all requisite qualification and/or experience and fulfilling all eligibility conditions are invited to appear for recruitment test and interview with applications in prescribed format. 1. The person must have acquired the degree of B.Tech/B.E. or equivalent in Civil Engineering, and working as Superintending Engineer or equivalent posts in govt., semigovt., public undertaking organizations, or in reputed private organizations whose annual turnover must not be less than one thousand crores, in the field of building construction and they must have minimum 20 years works experience in the field of monitoring and oversight of building construction activity in the above mentioned organizations. 2. In the case of retired persons, they must have retired from not less than the post of Superintending Engineer. Preference will be given to the person retired from higher posts and higher experience. Their maximum age must not be more than 65 years. 3. For deputationist upper age limit will be 56 years. 4. Candidates should have knowledge of and aptitude towards use of cost effective building technology and quality control of civil works. 5. Candidates should physically fit and willing for extensive field visits to districts. 6. Candidates should be capable to monitor the entire range of civil construction work, supervise and effectively guide the work force of A.Es. and J.Es. placed in districts, for ensuring execution of civil works as per Annual Work Plan and Budget of BEPC. 7. Candidates should be willing to work in a Mission Mode be committed to the cause of downtrodden sections of society and be capable of working in a team through participatory process. The appointment, on Short Term Contract/Short Term Deputation basis, are generally made for a short term period i.e. for three year initially (or till project ends, whichever is earlier). It is also to clarify that the appointment made are temporary and no permanent post is created in BEPC so that no permanent liability should accrue on the BEPC society or Govt. of Bihar or Govt. of India due to filling up of this post. Therefore in future no claim of either absorption in the said society, Govt. of Bihar or Govt. of India will be entertained or considered tenable. Candidates who desire to be appointed on deputation basis, will have to submit no objection certificate issued by his/her employer stating that no disciplinary proceedings are pending against him/her and his/her integrity is not doubtful, before the actual appointment. For the selection/short listing of candidates, BEPC may adopt any screening process such as written/oral test etc relating to job requirement of the post and fix minimum qualifying marks/criteria for the post. Candidate having higher age will be placed above in merit in case the marks obtained are equal. BEPC may involve any third party agency/agencies for this selection/screening process. No travel cost will be paid to candidates for interview. Pay protection will be given to persons appointed on Short Term Deputation basis besides other allowances admissible under BSPP Service Regulations. In case of retired persons, who are covered under a government pension scheme or a similar pension scheme. The Last Pay Drawn minus pension would be paid with other project allowance and conveyance allowance. In all other cases salary of Rs. 34,559/- + applicable allowances would be payable. Every applicant is required to submit a non-refundable application fee of Rs.500/- (Rupees Five Hundred only) in the form of “Demand Draft” in favour of Bihar Education Project Council payable at Patna. Candidates belonging to Scheduled Caste/Scheduled Tribe/Disabled category as well as belonging to BPL families are exempted from the payment of application fee. However they will have to submit attested copies of caste certificates/BPL card, otherwise their applications will not be considered and hence liable to be rejected. Application fees received in the form of Cash/IPO etc. will not be entertained. Applicants will have apply in the Prescribed Format and it should be sent by Registered A/D or SPEED POST addressed to the State Project Director, Bihar Education Project Council, Shiksha Bhawan, Saidpur, Patna-800004 by 21st March, 2013.